Spring Polo Cup 2018: Matches washed out and will be played later. 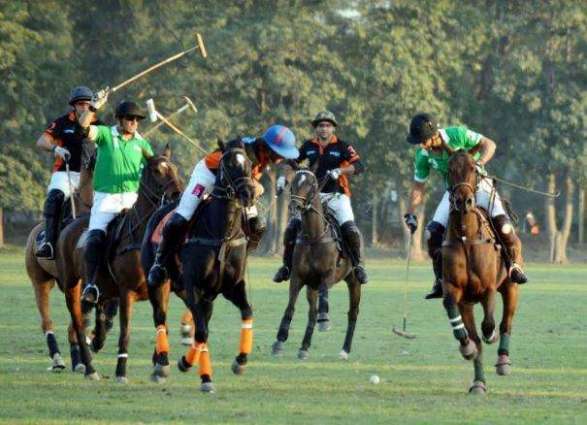 LPC LAHORE: The opening day matches of the Spring Polo Cup 2018 were washed out and will be played later. Rizvi’s/Master Paints had to face Newage/Guard Group in the first match and Barry’s had to play against Master Paints Black later on the day but these matches would now be played later, said Lahore Polo Club, secretary, Col (r) Shoaib Aftab here. According to the new schedule, Army Whites will vie against Army Reds at 2:00 pm on Wednesday, while Diamond Paints Black will play against Diamond Paints Blues at 3:00. It is hoped that the ground would be ready for the action.